10% Muthoot Homefin (India) Limited NCD – Apr'19 – Should you Invest? 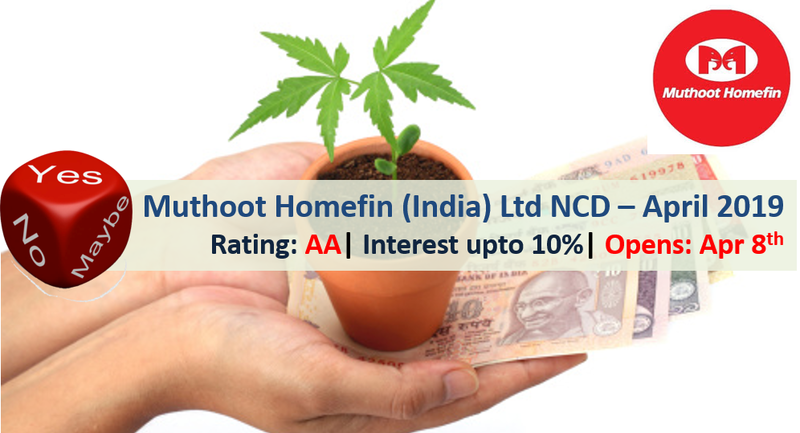 Muthoot Homefin (India) Limited has come out with public issue of non-convertible debentures (NCD) offering up to 10% interest rate. The company was incorporated on August 26, 2011 and is currently the wholly owned subsidiary of Muthoot Finance Limited, which is one of India’s largest gold financing companies by loan portfolio. Company focuses on providing affordable housing loans to Lower Middle Income groups and Economically Weaker Sections of society in tier 2, tier 3 and tier 4 cities. There are 10 options of investment in Muthoot Homefin NCD. Muthoot Homefin NCD – Who can Apply? 10% Muthoot Finance NCD – Feb’19 – Should you Invest? 9% Muthoot Finance NCD – April’18 – Should you Invest?